We recently had a P.F Changs built closer to where we live. So it was only fitting we ventured over there for a post-holiday meal. P.F Changes has been known to be amazing with how they handle gluten allergies (like mine) and our new local P.F Changs did not disappoint. However, while everything was tasty, I'm not going to lie, their Egg Drop Soup is the bomb! 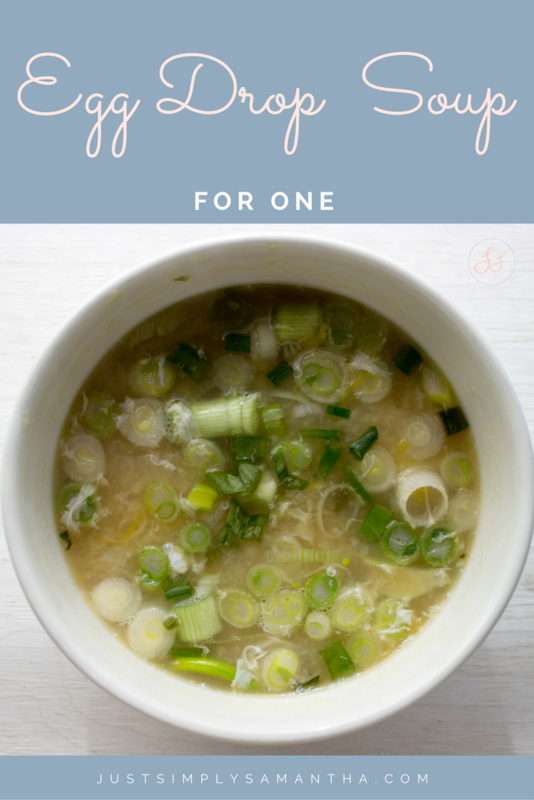 Ever since we went I've been craving some egg drop soup but since the husband is not a soup fan, I had to someone create a recipe that was perfect for one heaping helping. It hit the sport with these cold snaps the south is experiencing right now. It was delicious and almost as good as P.F Changs. Yes, I know that is A LOT of green onions. Green Onions is one of my favorites foods to add to any dish. However, if you are NOT a fan. You can limit them or leave them completely if you so chose. In a pot, bring to boil broth, soy sauce, and ginger.Once boiling, transfer 2 tablespoons of the broth into a separate bowl with the cornstarch. Whisk till cornstarch is dissolved.Next, add the cornstarch mixture back to the pot with the rest of the broth and whisk until the broth mix thickens slightly.Using a spoon or ladle, stir the broth round till it creates a whirlpool effect.Once you have the effect continue stirring and slowly pour in the whisked egg. 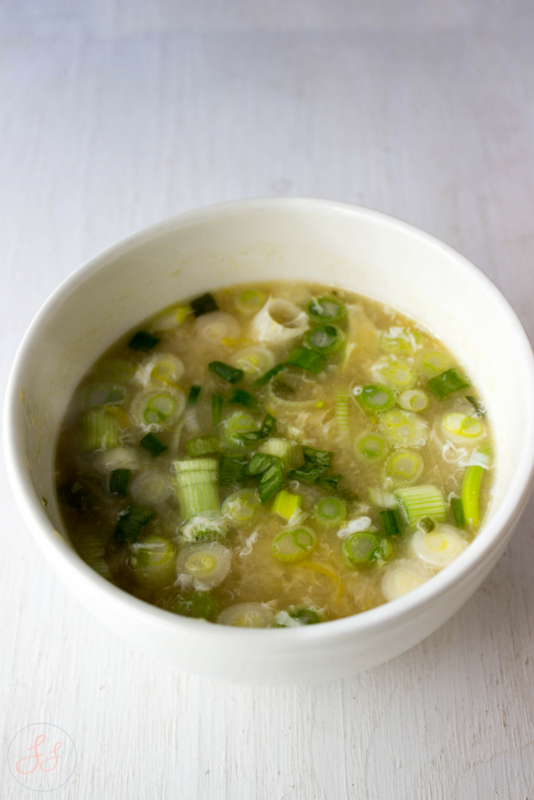 The egg should start to look like ribbon in the soup.Once done add your green onion and serve immediately. 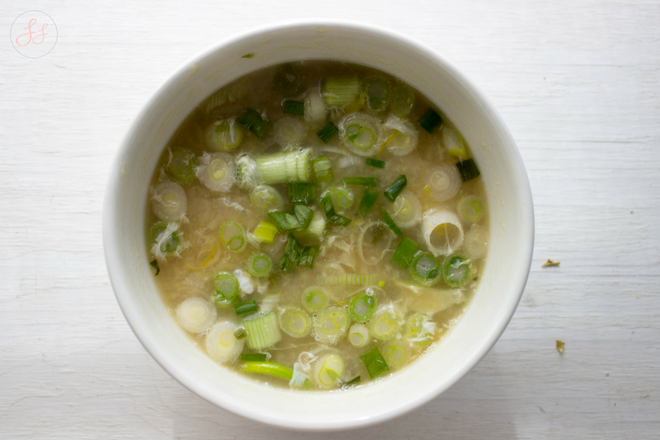 I've never tried egg drop soup, so I LOVE this recipe for one to give it a try first! 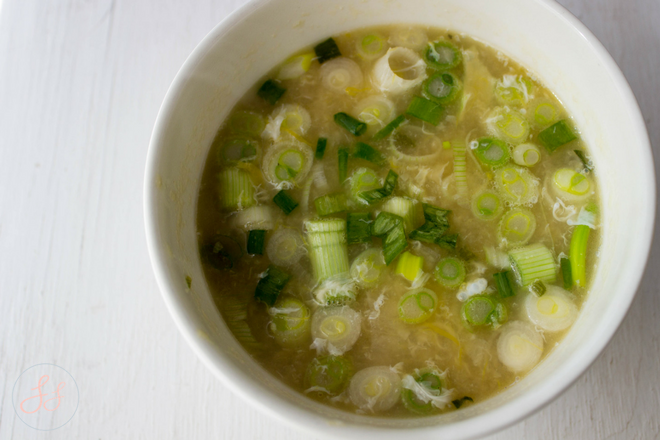 I've never made egg drop soup before, but this sounds so simple and easy! I seriously love green onions too, so I know I'd be into this dish haha. Wow I had no idea it was so easy!!! Amazing. And delicious! I have never had egg drop soup but this looks delicious! I am all for egg drop soup! I haven't made any in a while--this version looks delicious!